by Christopher Geist in the Colonial Williamsburg Journal. from the National Museum of American History. from the Society of American Archivists. "I think by far the most important bill in our whole code is that for the diffusion of knowlege among the people. [N]o other sure foundation can be devised for the preservation of freedom, and happiness." Popular historical novels for students, Red Thunder and Duel in the Wilderness, are now available as ebooks! In Red Thunder, fourteen-year-old Nate Chandler and his dog Rex join James Armistead Lafayette, a slave, as spies for the Continental Army as the battle of Yorktown and the end of the Revolutionary War approach. 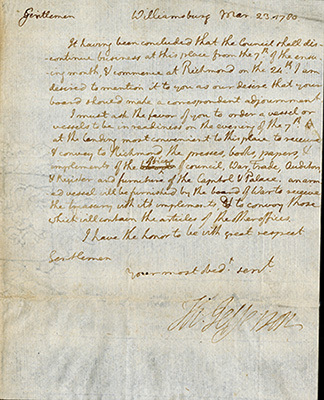 In Duel in the Wilderness, Washington must deliver a message from the British king to the French commanders on the Ohio wilderness. 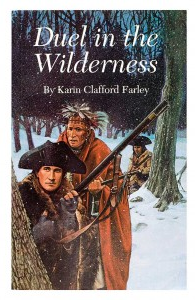 Washington travels through frontier lands where hostile Indians and French soldiers lurk. If he fails, Britain and France may go to war.